· Parking: There is plenty of free parking in the multi storey car park with Disabability parking alocated spaces on the ground and 5th levels. · Accessiblity: The arms are both relatively easy to access although there is a bit more distance to cover than at other marks, however the fishing can be very good. There is ramped access to both arms although getting down to the actual fishing levels may be difficult for anglers in wheelchairs. · Fishing: For full details of how to fish this mark, click here . · Parking: This is a very easy location to park at, however, in peak season there is a charge. you can park anywhere along the front which puts you on water at high tide, although the nearer the river the better and the Hope Inn (below) may be worth a look. · Accessiblity: This location is easily accessible and all on one level, which makes it very convenient to fish. A 20 yard cast will put you within the fish, although fishing closer to the wall can produce some good catches of Bass. · Fishing: This mark generally produces best in autumn, winter and spring as by mid summer there are far too many bait pinching crabs around. Personally I would say that the Hope Inn (below) is a slightly better mark to fish. It is better fished at high tide. · Accessiblity: This location is easily accessible and all on one level. Due it being slightly within the harbour entrance it puts you straight in deep water so there is little or no need to cast far. There is fencing on the walkway to prevent anyone falling in, but it also provides a good rod rest and due to it being metal fencing as opposed to a concrete wall it allows you to see the water easily. · Fishing: Fishing is good here all year round, it is not one of the best spots on here but one of the most convenient. It generally produces better fish at night and when rough. 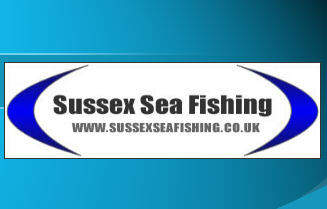 See Newhaven page for full details of how to fish.